Bellatrix, I'm a Pug! 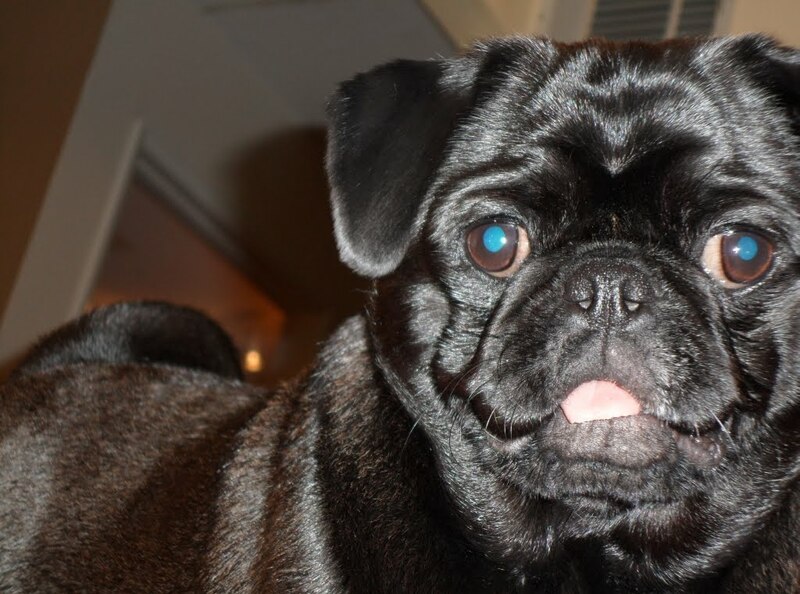 : My crazy pug-tastical life...needs insurance? 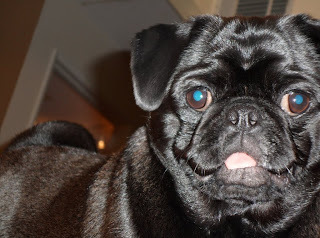 My crazy pug-tastical life...needs insurance? So, Mom showed me some brochures from a place called Trupanion and another one from the ASPCA. She said there's a bunch more, but these two seem good. I was worried that I needed to sacrifice my treat money, but Mom and Dad said that I can save my treat money, and they'll take care of the insurance. What does everyone think? Should I get pug insurance? Glad you're feeling better. I don't know anything about insurance, but my human gives a big fat YES. We have PetPlan. We haven't needed to use it yet, but one of the labs had some lumps removed and the insurance paid for $900 out of $1200. My human used VPI insurance a lot for one of her dogs that's sleeping and says it's super important to look at what "congenital?" they will cover (like, say, eye problems in pugs). Also that they don't put a cap on what things should cost (ex: VPI said an MRI costs $700 but it really costs more like $1500). Wow!! This is a wonderful Post!! Mommy and Daddy be asking 'dis some question alls 'da times!! and alls her meds and stuffs! Everytime they say 'dey will looks 'den something else comes up and 'den they just thinks 'dat maybe they really won't be saving a lot. Daddy started a new job the day Anakin had his first surgery (May 12) and prior to that...he was laid off at a really good job 'cuz of the economy. (Mommy be all complaining 'bout his bad hours and stuffs... but...at least 'day hads the health insurance AND 'day even offered pet ins too. But 'dat was too expensive (Mommy and Daddy though) per pay check deduction...Hmmmmmm hind legs 20 20 Mommy and Daddy.. Tisk Tisk. So...It sounds like Puglets Mommy founds a good Plans!! Belly Buttons...We's are glads yousa feels betters and the Bellybeunonia is on it's way outta!! Oh's we's likes your new bloggy page!! I's don't talks 'bout myselfs in 'da third person!! Josie took over 'da bloggy in 'dat second paragraph while I's went to pee!! Thanks for the great review site. Mom made dad spent lots of time on googling looking all sorts of things up. She says he can find anything on google except Jimmy Hoffa. Anyways....thanks for the heads up with checking into what they do and don't cover, just like with people...insurance is tricky. Mom thinks any money saved is at least something right? Plus I really hate them taking money away from cookies to pay my bills! Ahem...Belly's mom here...her dad and I do not take away from her cookie fund when we go to the emergency room. I just get less Starbucks, gosh to love a pug! GANG!! You make me laugh so much Anakin...after all I live in California if Josie needed some err special medicine...she could it's legal here. hehe. Mom thinks your mom and dad should get insurance, especially with three pugs in the house. Something about us always finding a way to get into trouble. I think anything that puts more cookie money into their hands the better. I also want to say that you guys have such an awesome mom and dad! They were totally willing to give you guys all the help you needed. Mom used to work at animal shelters, she saw lots of moms and dads that threw their dogs and cats away because they needed some medical needs. Sad huh? Make sure they get extra kisses...that means you Anakin!! Gen here! My moms was all paranoid when I was a pup and got my some of that insurance stuff. When you're a puppy, it is less expensive. She checked on the Foo, and it was more than the national debt - whatever that is. I guess cuz she was 8. In the end, none of the things that happened to me were covered and we never filed a claim. So she did not renew it. Mom says it a good idea IF a pug has *accidents*. Regular sickness wasn't covered very well. It's not a bad idea!! After I ate the rock and had to have emergency surgery, the momma got me a Wellness plan through our vet at Banfield. All of my office visits are free, as often as the momma gets paranoid, that's a good thing. I get two complete exams a year and all my vaccinations. Plus it covers a whole host of other tests and things. It even covered ALL of my dental I just had. The momma couldn't believe it. All she paid for was my toe trim and the medicine for my ears. We also get a discount on anything the plan doesn't cover. After the whole rock thing, the momma wasn't taking any chances!!!! The momma is very glad she did it. Well are Mom doesn't have insurance for us. She said sometimes she wishes she did, like last week when Brigitte had her 405.00 ultrasound. She has looked into it, but with us girls' age it's pretty expensive. She said she once read that if you take the money you would spend on the premiums and save it, that usually covers any vet bills you have. She also said she is terrible at sending in claims. She's afraid she would pay the insurance and the vet bill and neglect to file a claim. Lastly, if you do choose to get it, be sure to choose an established company.I guess some of them tend to go out of business regularly. Belly- I have TruPanion...I haven't needed it but it's always good to have around. Ya never know what can happen to us wild pugs!! We have Petplan and like it so far. We have hormone imbalances that cost $648 per blood test. So far, mom's spent over $3000 on tests and medications since March. After her $200 deductible, she gets checks for 80%. Definitely worth it for us. And the checks come fast. Mom pays $19 a month for both of us. Click it for a Trick Sit! Tug it like you own it!